Last March, I shared my personal experiences at a forum on chronic kidney disease (CKD) at the Gardena Valley Japanese Cultural Institute (GVJCI) with Kaiser nephrologist Dr. Dean Kujubu. Following that forum, I offered a small workshop for people with diabetes and/or hypertension at my home. Three people attended, and I reported a surprising discovery in a subsequent article in The Rafu Shimpo. At the three-session workshop, I had asked them to bring their blood test results. Two of the people, whom I called “John” and “Mary,” reported numbers that, to me, indicated they were already in Stage 3 of CKD. Neither had been told by their doctors. I ended the session and suggested they consult their doctors. I couldn’t believe they didn’t know were already at Stage 3. Then, I remembered that I was referred to a nephrologist when I hit Stage 3 (although I was never told then I was in Stage 3, CKD). The third member of our group already had CKD, and he also said he didn’t know until late. I talked with Dr. Kujubu via email. I told him I had always heard about the danger of strokes or heart attacks with diabetes and hypertension but nothing about the kidneys. He said the advice given for heart disease is also the same as for kidneys. But, I said, I don’t think any of my doctors since 1996 (when I was diagnosed with diabetes) ever mentioned once that diabetes and hypertension are the #1 and #2 respective causes of CKD, and the end game of CKD is dialysis. I asked him if he would be available to do a sequel to the CKD forum and concentrate on avoiding CKD, or, once you have it, in addition to vital information about CKD, how to read and interpret your basic blood work that shows kidney functions. He said, yes, he would be available. So, I reserved Sunday, Oct. 9, 2 to 4 p.m., in the GVJCI Veterans Hall, with Michelle Yamashiro, programs director at the GVJCI. Meanwhile, I continued to be puzzled that I learned so late. Then I found out quite accidentally. I went in for a diabetic foot exam with a PA (professional assistant) I see often at Kaiser. He works with my primary. We got into a conversation about not knowing I had CKD until Stage 3. What he told me completely floored me! He said the protocol is that primary care doctors are to monitor the early stages – that if they send a patient before Stage 3, the patient is sent back to their primaries, who are told they are responsible. I don’t remember my primary telling me she was monitoring me for my kidneys. Besides, I told him, “Stage 3 is SO late…” He agreed that it does sound late. I made a mental note to address this with Dr. Kujubu at the Oct. 9 forum. And it’s not just Kaiser. “John” and “Mary” have other providers. Meanwhile, I am in Stage 4 and having a difficult time because of all the dietary restrictions. Too much potassium, phosphorus, or protein (that covers just about everything in a diet!!) sends my GFR down. My kidneys are functioning at about 19%-20%. When the GFR drops to 15%, preparations for dialysis begin, and then at 10%, you are on dialysis. If you are diabetic or have high blood pressure, or know someone who has either or both, I really encourage you to take the time to attend the forum on Oct. 9, or you might end up like me. The third person with CKD who attended my support group is not diabetic but has hypertension and began preparations for dialysis a few months back. Dr. Kujubu received his medical degree at the UCLA School of Medicine, completed his internal medicine residency at Harbor-UCLA Medical Center, and his nephrology fellowship at the UCLA Medical Center. After holding positions on the faculty of the UCLA and University of Pennsylvania schools of medicine, in 1999 he joined the Kaiser Permanente Los Angeles Medical Center, where he is currently a staff nephrologist and program director of the nephrology training program. 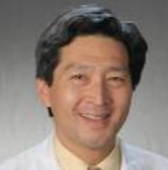 He holds a position as clinical assistant professor of medicine at the UCLA School of Medicine. Reservations are requested as the GVJCI Veterans Hall has a limited capacity. The JCI has so many activities that their facilities are heavily impacted, so if we exceed 170, we may or may not be able to transfer to the larger JCI Hall, so please reserve early. GVJCI is located at 1964 W. 162nd St. in Gardena.